Um... would a picture of what's in the Monogram box help? Looks like it's the same as the Smithsonian kit. This is what is in the typical Monogram Mustang box. A few unique things I've noticed about this kit (apart from all the moving parts): The way the tail wings are attached to the fuse, the one-piece lower wing section, large internal wing spar, the odd looking cannon bulges, chunky canopy, moulded exhaust stacks. Looks very similar to the kit in Kevs link. Please excuse the vast amount of aftermarket. If there's one thing these kits lack, it's detail. Thanks for those shots Keith. Now we just have to hear from someone who has, has seen, or knows about the aforementioned Revell kits, and can compare them. There's actually one on Aussie eBay at the moment, but I can't seem to find it, so maybe the auction has already ended. I did find a Smithsonian boxing though. That Smithsonian kit is definitely not the same as the Monogram one. Thanks Keith. I'm just amending the database now. When people talk of the 'Revell Mustang', it always seems to be about the infamous P-51B kit; I never knew there was a 'D' kit too, until this week. I've added a new kit family for it, and included those kits verified to belong to it so far. What do you reckon about this one? At a glance, I would say it was the Hasegawa one. Scotts thread on FSM clearly states that these builds are of the Smithsonian P-51D. Both builds in the thread look like the monogram kit. 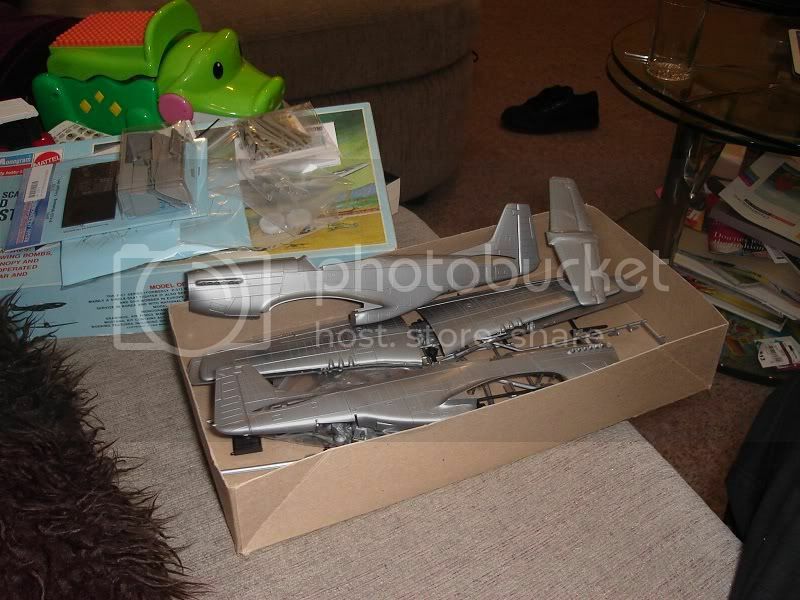 The Ebay listing shows a P-51D model on the boxtop that looks like the Hasegawa moulding. Looks like they stole both, it's a can of worms Mate. Yep, some very mixed messages on that FSM thread. Max's statements sound fairly definitive to me, so I'm concluding that the Smithsonian release is a genuine Revell example. I think some of the posters on the FSM thread are a little confused. Not having seen the Revell plastic though, I really wouldn't know what I was looking at to tell the difference. I actually don't have a single 1/32 Mustang kit in my collection! I'm of the opinion that there is no Revell P-51D. Revell Germany used the Hasegawa mould. Revell USA used the Monogram mould. Ah, now I see where you're coming from Keith. Well, that is interesting. No way to know for sure without having examples of each kit to compare. Given that, as you say, it appears to be just you and me, chances are slim! The do indeed appear to be different kits. And both look quite different to the Monogram sprues in Keith's photos. So I can only conclude that the Revell P-51D did indeed exist in its own right. Congratulations Kev. You pretty much figured the whole thing out by yourself. Well done. I do have both, so if I can find them, I will let everyone know. However my Hasagawa is a 104 JG and my Revell is a 104 C.
Sorry that I didn't see the Monogram & Revell P-51D discussion before (I was away from home for few years..). 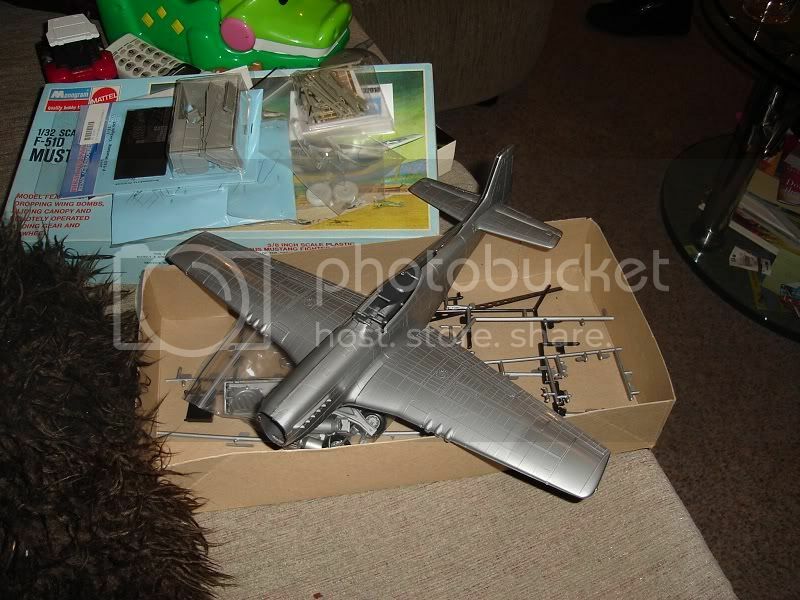 The older Revell P-51D in its various boxings was indeed their old P-51B kit with the fuselage parts modified (not "new parts) to D configuration. The wing parts were also modified to have 6 gun ports. All of the B kit's serious shape problems and raised surface detals were carried over onto the retooled D kit. 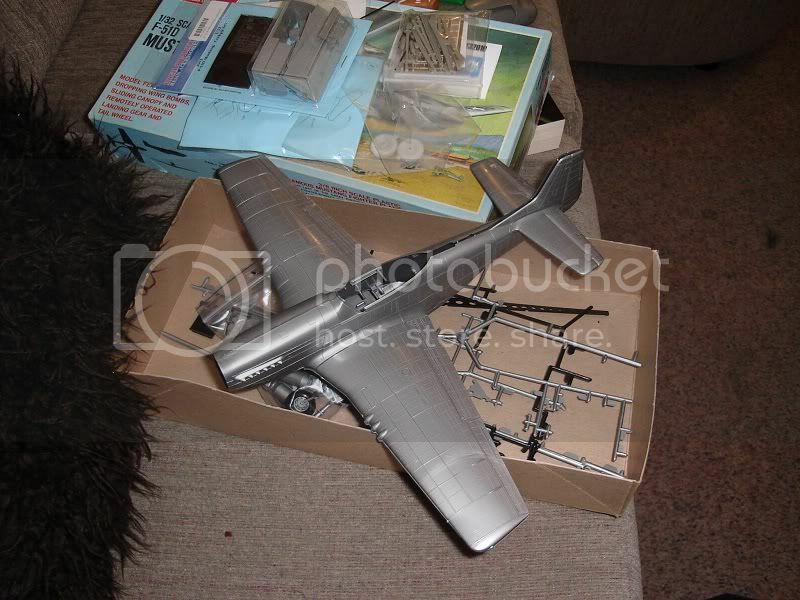 The Monogram F-51D kit used the "Phantom Mustang" parts cast in silver plastic (except the canopy) with all of the base and electrical stuff deleted. This kit has a new knob that is to be inserted through the bottom of the wing where the landing gear retractin mechanism used to attached for retracting the gear manually.